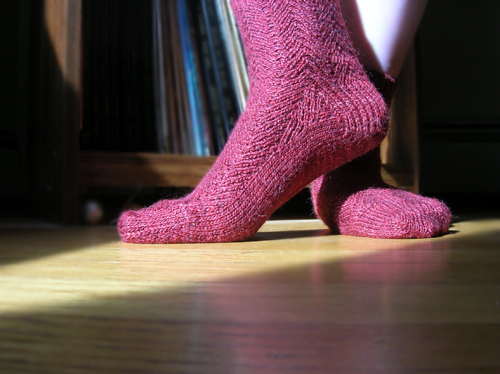 A top down sock in a herringbone twisted stitch pattern, with a ribbed slip stitch heel flap and a patterned gusset and toe. Six page PDF pattern, including both charted and written instructions. 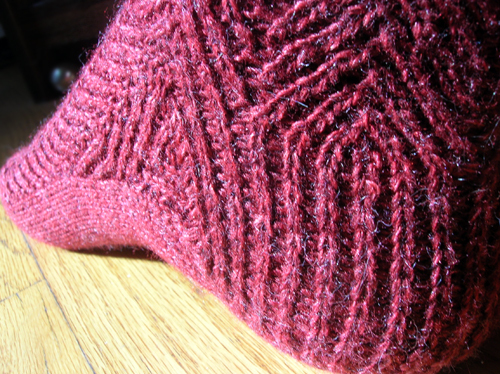 Skills needed: Knit, purl, increase, decrease, twisting stitches, tubular cast on, picking up stitches, kitchener stitch.